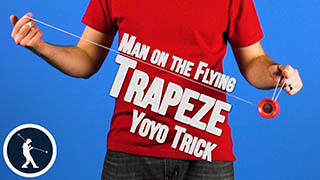 Too start this trick, you are going to start in a Trapeze. 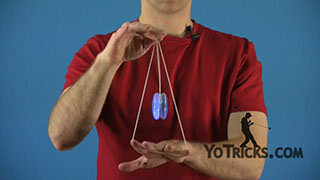 You want to insert your thumb into the trapeze loop right here, which will allow you to keep these strings open as you do the trick. 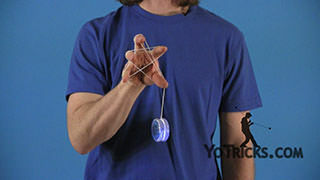 Then you are going to take your first finger on your opposite hand and hook the string that is coming off of your yoyo finger. From there, you are going to take your first finger on your yoyo hand. 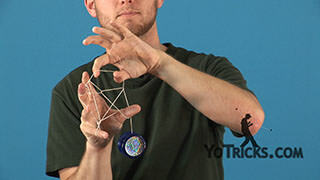 You are going to hook that same string, just below where you hooked it with your opposite hand. 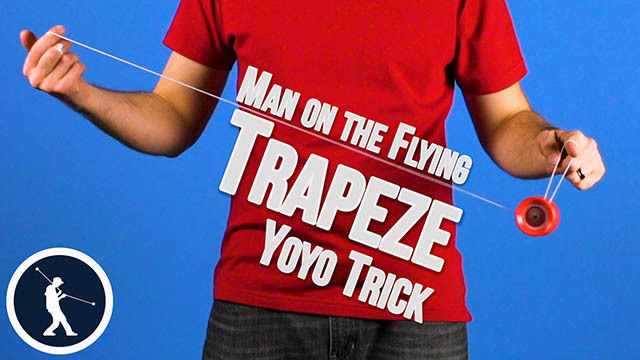 Once you have done this, the next thing you want to do is you want to pull that new loop that you made through the trapeze loop. 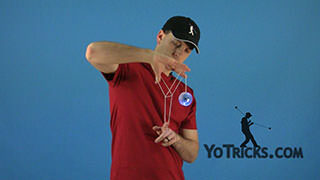 Then you want to drop it off of your thumb on your opposite hand. 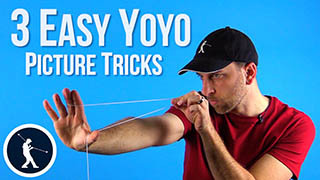 The next thing that you want to do is you can cinch this string up close to the first finger on your yoyo hand. That will make end of the trick a little bit easier. Then you want to insert your thumb into this loop. 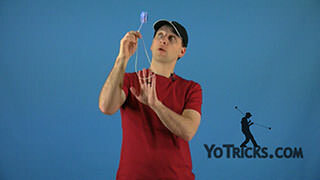 You only really need to insert the tip because it is going to allow you to spread the strings apart, after you lift the string up and put it underneath the yoyo. So, let me show you the end of the trick. Once you have got everything set up. So again you are going to hook, hook, pull it through, insert your thumb right here. Then you are going to pull the string up. 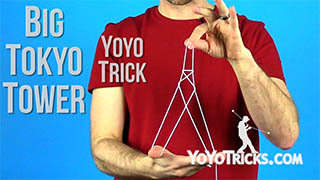 So to finish the trick, what you want to do is spread these strings apart before you get it under the yoyo. 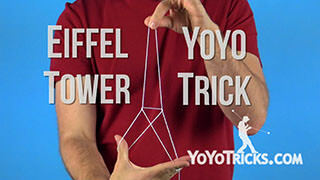 That will make sure that the yoyo does not fall down too far as you reveal the Eiffel Tower. Once you have got it in place, just rock it through a couple of times, drop it out the back, and bring it back to your hand. Let me show you that again. You are going to start with a trapeze. 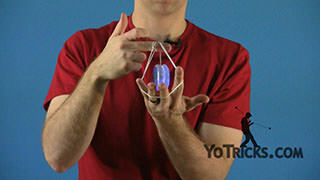 Then you are going to insert your thumb into the trapeze loop. 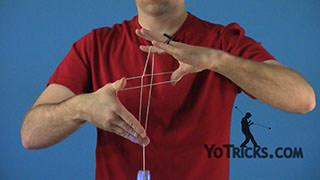 Hook the string with the first finger of your opposite hand. 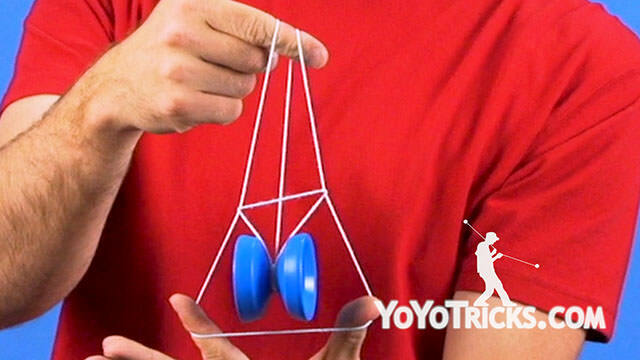 Then hook the same string with the first finger of your yoyo hand. Then you are going to pull that through the trapeze loop. Let the string drop off of your thumb. Insert your thumb into the string. 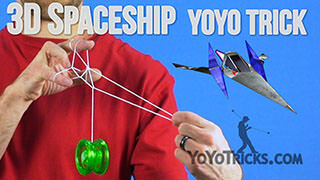 Pull up, and then spread your fingers apart before you bring it underneath the yoyo. Rock it through a couple of times, and then drop it out the back. And that is Rock the Baby on the Eiffel Tower.